Last week was the third annual Shark Week held at Scuba Junkie Komodo, the fifth Shark Week held by Scuba Junkie in South East Asia. The aim of the week is to promote accurate information about shark species, and challenge the view of them as a man-hunting killer (cheers Jaws & The Shallows!) Shark populations are declining across the globe, with some species declining by 90% in the past few years. As the APEX predator they control the species below them, without them we will see a huge decline in the health of coral reefs - affecting the livelihoods of over 120 million people in the coral triangle alone. Fortunately in Komodo, sharks are protected and this is evident in the diving we do here. The week is also a great opportunity for us to engage with the community and talk to them about shark species in Indonesia and as well as other marine life seen in the Komodo National Park. The week started with a bang! 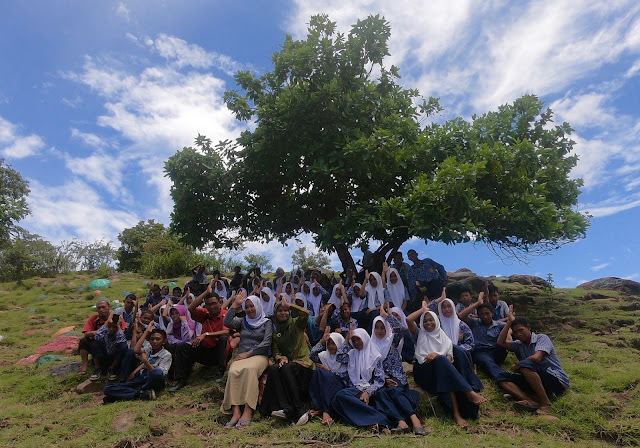 We had a group of students from SD & SMP Warloka join us on the snorkel trip out to the Komodo National Park. On the way out to the park we talked about shark & manta ray interaction. We made it clear that chasing any marine species would not be accepted, and that we must not touch any marine life. Once we jumped in the water not only were they all keen to spot whatever marine life they could, but they were also making sure to grab any bits of plastic that they saw. Over the past few years we have started to see a change in attitudes when it comes to plastic - which we will talk more about in another blog update. 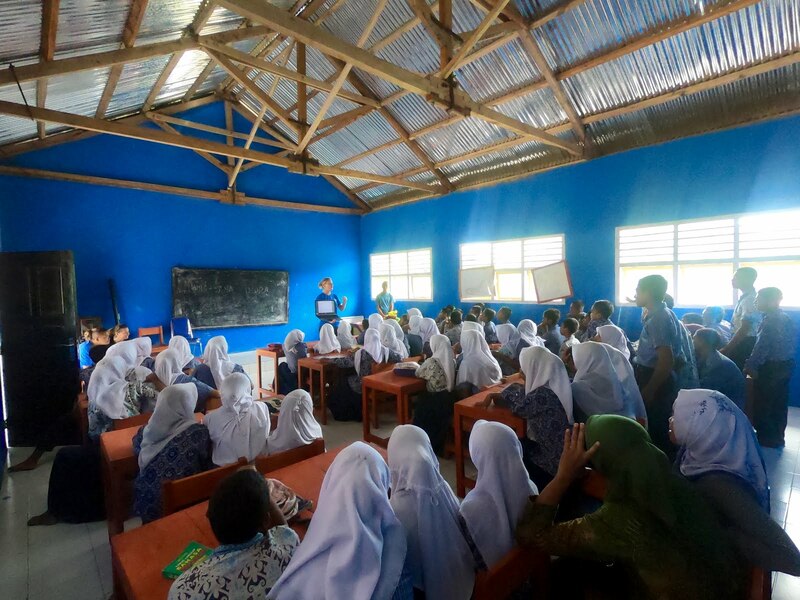 Other community engagement for the week included a visit to SMP 7 Warloka - the school for 12-16 year olds from Warloka that sits opposite the resort. 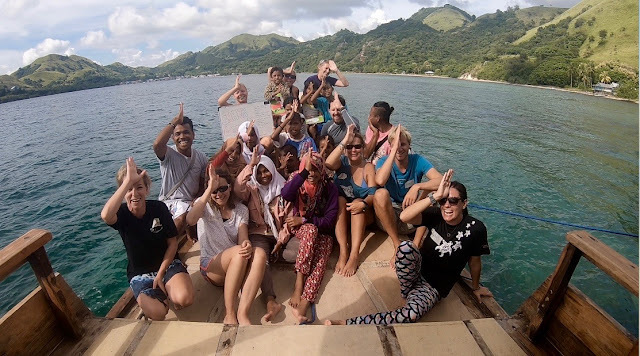 We have worked with this school over the past few years, and for shark week this year we discussed the incredible diversity of the marine life in the Komodo National Park. Of course there was discussion of shark species as well! We also did a clean up with them and discussed the harm plastic can cause to the marine world. 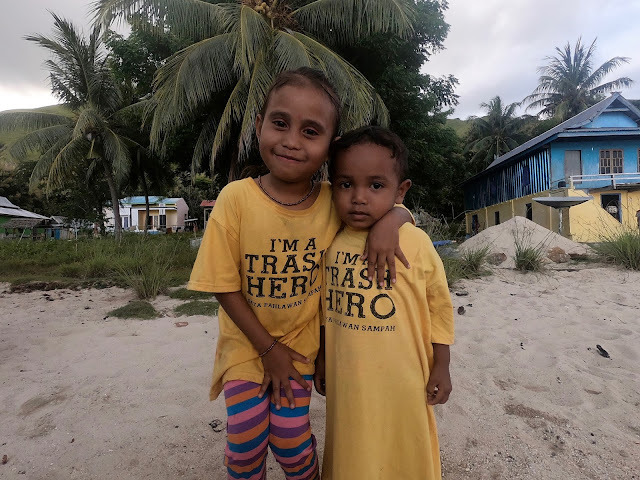 One morning on shark week, whilst our customers were out diving and we planned the diving schedule for the next day, a group of young children from Warloka appeared at the resort with boxes of plastic they had just removed from the ocean! They then asked to do a beach clean with us. We decided to organise it for that evening - which also meant all our guests could get involved as well! It was amazing to see the younger generation pushing for clean ups. Whilst there is much work to be done, we are clearly taking steps forward. Over the rest of the week we also engaged in shark and ray research. We hosted the Marine Megafauna Foundation, allowing them to research manta rays, and all sharks sightings were reported to Eoceans. By sharing this information it allows Eoceans to look at global shark populations - whether sightings are increasing or decreasing. This is something that every diver across the globe can get involved in. Visit the website Eoceans and input your data for the sharks you've seen on your dives. They even want information on when you haven't seen sharks! All this information is used in studying shark numbers and provides a worldwide picture of shark populations. In the evenings we had many shark and ray focused events. We had presentations on manta rays from Jennifer - MMF, a presentation on shark biology & threats from Lydia, and Susi from the WWF spoke to us about sharks conservation in Labuan Bajo and the Komodo area. We also had a fund-raising pub quiz. The money from this event will be used to aid the sponsorship on an Open Water Course for one lucky competition winner from Warloka village. The competition is being put into process over the next few months. By introducing someone to the marine world we can potentially open the world outside of fishing and engage them in activities outside of fishing. We hope that everyone involved with the week had a great time. 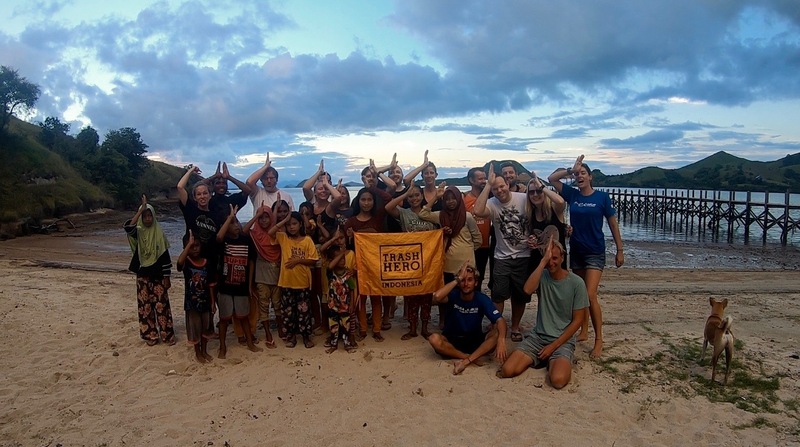 If you want any more information on the work that we do at Scuba Junkie are doing in the Komodo area then please feel free to send us an email. Or you're interested in the conservation work we do in Malaysia, then feel free to email Scuba Junkie SEAS. 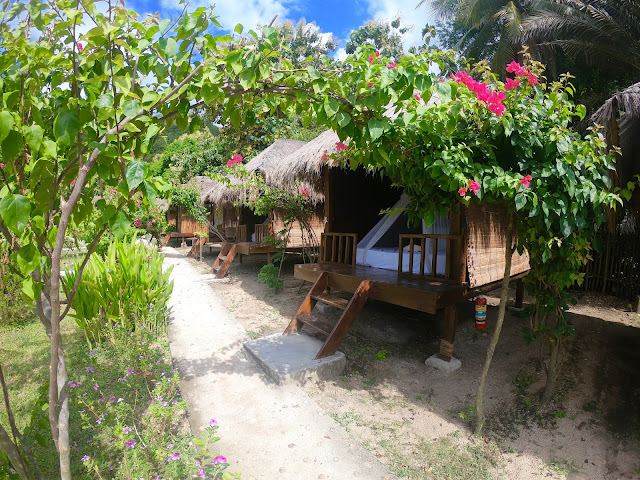 Don't forget to check out our website for more information on our dive and resort packages!